Dodge is embedded in the daily workflow of thousands of industry players at leading construction and manufacturing firms. Dodge provides comprehensive and timely information on construction projects, companies, and people, as well as tools for analysis and collaboration. To hone in on the core ideals of this vast database, one of the largest integrated brand campaigns in McGraw Hill's history was launched. 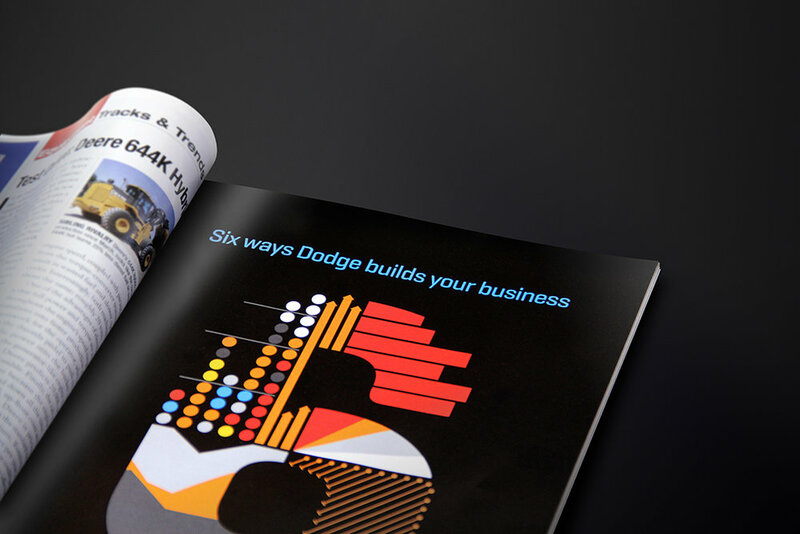 The campaign focused on the 6 capabilities that represents Dodge and how Dodge intelligence can help business grow. The main visual is the number "6." It's compiled of charts and graphs stemming directly from iconography built into the various business intelligence tools that make up Dodge.